What is it about leather furniture that makes our hearts skip a beat when we see it? For one thing, it looks luxurious and inviting, like you could sink into it with a favorite novel for an hour (or three). For another, its natural beauty and texture add character to a room. And lastly, leather is exceptionally durable and may be easier to care for than upholstered furniture covered in fabric. Here are some basics to keep leather looking its best. Clean regularly with a soft, 100% cotton white cloth that is lightly dampened with water. After wiping, gently rub with a soft dry cloth to remove soil. Avoid placing furniture in direct sunlight, which can damage leather. Keep away from fireplaces and air vents that can dry out leather. Inspect your furniture from top to bottom looking for stains, food (an errant popcorn kernel?) and any loose articles like pens that could cause damage. Scratches are normal and actually enhance the look of leather. If you see a surface scratch, don’t panic. Most can “heal themselves” with just a little help from the heat of a blow dryer. Simply hold blow dryer at least 6” away to warm up the natural oils in the leather. Then, using just your fingertips, massage the oils into the scratch to help it disappear. Keep in mind that natural character markings should be expected on many leathers, and over time, leather will soften and develop a fine patina. To learn more, see Bassett’s Crash Course in Leather. Naturally, Bassett leather furniture is covered under our manufacturer’s warranty (see warranty for details). Leather Furniture Protection Plans, including the Guardsman Gold Complete Furniture Protection Plan, offer even more coverage. As fuss-free as leather furniture can be, there may be a time you need professional help. 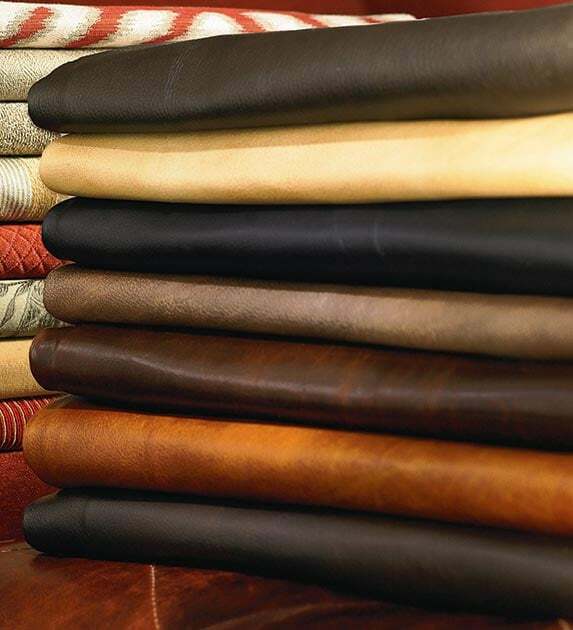 We recommend calling Leather Solutions at 866-875-7446. They have sample pieces of all our leathers on hand, so they can offer better guidance if a mishap occurs – or if you would just like to hear about cleaning suggestions beyond our standard procedures. Ready to transform one of your favorite rooms? Schedule an appointment with a Bassett Design Consultant today. Note for Guardsman Plan Holders: Only blot stains before calling Guardsman. Do not attempt to clean until given specific cleaning instructions. Many stains and damage issues are time sensitive. For this reason, you must notify Guardsman within 30 days of a stain or damage occurrence.